James Michelson will be presenting two sessions at TS2 2010 in Boston being held from July 13 to 15 at the Convention Center. In a continuing era of shrinking staffs and budget, business leaders need a better understanding of the all available marketing channels and how to they can be employed to gather data and automate the lead generation and sales process. Leaders will learn what questions need to be asked to in order to avoid data silos and to maximize the value of sales and marketing efforts. 1. Learn how to best implement a strategy and technology review for marketing automation. 2. Discover the most cost effective and easy to implement strategies for data collection and marketing automation. 3. Create a game plan for development of a strong marketing mix and cost effective systems. Using real life examples, this session will present a practical guide to creating cross media marketing campaigns that drive traffic to trade show events. You will examine proven strategies that not only attract prospects but also convert leads into sales. 1. Create strategies to convert leads into sales. 2. Discover proven trade show marketing communication tactics. 3. Develop a platform on which to execute real campaigns. For more than 37 years, TS2 has served as the premier event for exhibit and event professionals. Formerly the "Trade Show About Trade Shows" TS2 has evolved to provide timely and relevant resources and education to the ever-changing exhibit and event industry. Today the conference and exposition, designed for exhibitors, by exhibitors, is "Where the Industry Meets" bringing together exhibitors, event marketers, show organizers and suppliers to network and learn in a leading-edge marketplace. The TechPoint Mira Awards are the premier technology awards program in the state of Indiana. Since the turn of the century, TechPoint has honored Indiana businesses, schools and universities, and individuals for their contributions to the state’s technology-related economy. TechPoint’s prestigious Mira Awards program recognizes leaders and innovators in 11 different business categories. Clients are turning to their marketing service providers for an ever expanding array of services and providing email as part of an integrated campaign is falling to printers and other organizations new to the task. In order to improve both deliverability and response rates there are steps that can be taken to have a positive effect. Many ISPs and corporate mail servers employ various kinds of junk mail filters that scan your message for “marketing buzzwords.” Be careful to avoid content that includes such terms as sale, special, limited time, discount, win, etc. Save the sales copy for a landing page by using a PURL. Adding personalization and segmentation to your email will help capture the prospect’s attention. Target demographically relevant content in order to capture attention. Creating a Personalize URL will both increase response rates and also track warm leads. On your landing page you can engage with a stronger call to action and provide more sales information to improve conversion. Adding a PURL is a key way to engage the customer and encourage them to take the next step.. It is a one click response mechanism that can be incorporated into an email campaign in order to measure ROI and boost response. Transferring your sales content to a landing page can dramatically increase your deliverability rate and provide more information that email functionality cannot support such as video. Landing pages can be pre-populated with variable text, images, and video to increase response. Pair this with a customized survey and create a highly targeted database. These three simple tips will improve both deliverability and response. The first quarter of 2010 has been a time of change for all marketers. Traditional channels continue to lose market share to digital outlets. This is both a challenge and an opportunity for marketing service providers. In this month's issue, we examine 2010 marketing budgets, QR codes, selling cross media, best practices for landing page design and more. 1. 15% of recipients who take the web call to action will truncate their names from the PURL, even if it is presented as a link in email. The PURL set up had best account for that behavior if the correct content is to be served. 2. A PURL that features the recipients name performs, on average, 64% better than a code or quasi name driven PURL such as “smith6526”. There may be good reasons to use such a format (such as security concerns) and we have, but the negative impact on response for many applications, especially lead generation, must be kept in mind. 3. The life span of a PURL campaign is 18 months or more. Hits come from older distribution and it is important to consider that the content should be available for a long time, even if the offer has expired, in order to capture these long tail leads. If a marketer only intends to run one campaign on one channel then the format of the PURL is less critical because it is no problem to serve all the same content and have one set of reporting. This is not the most common scenario, however. What follows are the most common PURL formats utilizing prospect names and the main considerations of their use. Most marketers wish to use their main web address as the base of the PURL for a myriad of reasons. This first format requires a wildcard DNS record to point at the PURL application’s servers. Anything that appears before the “.mycompany.com” will point to the PURL. What happens when that wildcard is already in use for another purpose or the user truncates their name which, remember, 15% of web visitors do? The respondent will be sent to the main company site, correct content will not be served and tracking will be lost. What happens when there is a requirement to run several campaigns to the same prospect at the same time? What happens in the common case when there is a requirement to track separate channels independently? Multiple PURLs per channel would be required to use this format. Recall that codes or quasi name driven PURLs are less effective. What happens when a new campaign is ready to go? Do we abandon the long tail of previous efforts to point all comers to the new content? This format allows an unlimited number of campaigns to run off one PURL name. Reporting for an infinite variety of campaigns such as offer.mycompany.com, vip.mycompany.com or Feb14.mycompany.com, etc.) can be run off of one site. The recipient is far less likely to truncate both the DNS and their name if they are inclined to try and remain anonymous. The main advantage here is flexibility in campaign management and distinct reporting by campaign. Our larger OEM clients use this method to efficiently control multiple and simultaneous PURL campaigns for several hundred product lines off one website and still retain distinct reporting for each product, offer, and channel. Wildcards do not have this flexibility and are only suited for basic, one time use. Assuming the client does not use their main site as the web address for the campaign this eliminates the wildcard problem mentioned above, but what happens when you want more than one set of content? What happens when you have two campaigns running simultaneously to the same recipient and want separate reporting by offer or product line? Then you would be required to acquire and manage multiple sites which has a variety of obvious trust and issues. This format for the PURL has all of the challenges and disadvantages of using a wildcard record for the main corporate site – limited content, tracking, and the loss of the long tail of leads being the most important. If a new site is chosen, this format still allows an unlimited number of channels, campaigns and offers to be run off of one PURL name. Any firm that tells you otherwise has an ulterior motive, technology limitations, or more than likely, is a bunch of software developers who just don’t get it. From our friends at Exact Target, a survey was conducted that asked how marketers intend to spend their 2010 budgets. The shift away from traditional media continues. A summary of the result of the study appears below. As marketers continue to shift their budgets to digital media channels, who will be there to provide the expertise in execution? Additionally, how will they manage to avoid adding a myriad of platforms and data silos to coordinate these additional channels? As manpower assets continue to dwindle at most firms, outsourcing is the only choice for many. This opens a huge window of opportunity for agencies and commercial printers regardless of the media mix. So now that you have decided to put a QR Code on your marketing, how do you generate them and what kind of landing page do you create? The most useful way to implement a QRC campaign is to use the same type of dedicated landing page to act as a collection mechanism in the same way this blog has developed them for PURLs, email, direct mail and other channels. There is absolutely no need to pay for a standalone service to create and host QR Codes. A few new subscription services are out there which provide code creation and tracking, but using one of these is a terrible idea! The goal of employing a cross media channel is to collect user information while at the same time avoiding data silos. Adding another system to track them is nonsense. The goal of any cross media marketing effort is to consolidate data and collection in one location, not add to clutter by throwing on a “me to” product. The key to success with this technology is to integrate it as another tool to complement existing efforts, not start a new one. Use a free code generator such as http://qrcode.kaywa.com/ to generate your image. This image can then be incorporated into the design of your advertisement. It can appear almost anywhere. The QR Code can drive respondents to content specific landing pages that include an opt-in form. For variable marketing applications such as email or variable data print such as VDP Mail®, individual codes can be generated for each recipient. This code can contain a Personalized URL (PURL) or other specific content, such as a prize or discount code. Use basic elements like <div> tags and unordered lists ( <ul> tags ) with minimal styling to create menus and buttons instead of images. By simply adding a background color, a border and making internal <a> tags display as block elements your navigation will appear as buttons and stretch nicely across any size mobile screen. Here is a good sample from our friends at JohnsByrne Digital in Chicago. QR Codes are an easy way to direct mobile device users to specific content without requiring them to type in an address and have a few good applications in mobile and event marketing. They are like every other tool in the cross media suite that can add one more collection mechanism to start a two way conversation. 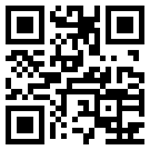 There has been a lot of buzz at conferences and in blogs and websites lately about QR Codes. The primary usage for marketers has been to link url's in various forms of advertising. For reading the barcode, most users must install specific software on the mobile device to be used in order to read the image. There are numerous devices available in the market with scanning capability, usually using the built in camera. Various software providers have applications that can be loaded onto phones that do not come with the functionality pre-installed, such as the iPhone. Mobile tagging is the process of providing data on mobile devices, commonly through the use of a web address that has been encoded in a two-dimensional barcode that can be read and accessed using a camera phone and the devices web browser. The reason for the success of mobile tagging is the quick, precise and customer-driven access to specific content. There is no license required to use QR Codes. QR Codes that contain a web address to a content specific landing page may appear in magazines, on signs, buses, business cards, or just about any printed material. Users with a camera phone equipped with the correct reader software can scan the image of the QR Code causing the phone's browser to launch and redirect to the programmed URL. Users can also generate and print their own QR Code for others to scan and use by visiting one of several free QR Code generating sites. The small picture generated can contain a vast amount of data. QR Codes can display 7,089 numeric characters and 4,296 alphanumeric characters. There are approximately a dozen types of codes and various readers available. Is this just another gimmick for marketers to capture attention like drawing a name in the clouds or on the beach? Probably, but it may have good applications. Next, look for design tips on mobile applications when using QR codes. This is part two of two of the best tips for landing page design for use in integrated cross media marketing campaigns. In the first Unless the landing page is intended as an online resource for articles and white papers, large amounts of links only succeed in directing visitors away from the submit button. Keep navigation minimal or remove it altogether. If you build a micro-site, try and have a small contact form on every page to make it easy for the prospect to submit. With screen sizes getting bigger all the time, the standard maximum size has been 800px. If your design is 600px,likely your fonts are tiny and it will appear dated as well as hard to read. Likewise, if your site maxes out past 1000px, individuals with lower screen resolutions may have to scroll horizontally to get all the information. While it is accepted that designers can safely go up to 1000px for most verticals, we recommend staying between 850-950px for now. Make sure to keep the font sizes big enough for all readers to see with ease. Remember, web safe fonts only! Everyone knows from the movie Office Space about the 13 pieces of flair. Using gadgets for the gadgets’ sake may detract from your content. If using video, sound, or a cartoon spokesperson helps engage the client to your message, fine. More than likely, a poorly planned piece of flair will be a distraction. Once you go down that road, it might be good to split test and see for yourself if the media affects conversion, so you can judge if you are really getting ROI. If you use video or other rich media, make sure it is well made and there aren’t more than 2 items on the landing page, otherwise your site can sound like the sales floor at Best Buy. Hand Coding vs Generated Code: There are two common practices used when making web pages that often cause more trouble than save time. Many print designers will import their design from Illustrator or Photoshop into Dreamweaver (or other similar programs),which generates the code automatically. Another practice is to open Dreamweaver and draw out the site out in design view, which also produces generated HTML and CSS. Though Dreamweaver is a very powerful, high cost program, it is similar to owning a Porsche - ownership does not mean you can immediately drive on the race track without crashing. Generated code, whether coming from programs such as Illustrator or drawn out in Design View in Dreamweaver is the “good enough” option; it kind of works, pretty much, part of the time. However, this practice makes it easy to develop bad habits such as nested tables, inline styling, div swamps, and a host of problems that can be very diffi cult to debug if your site develops a problem – not to mention that these programs can output some funky code unless you have a ninja hand. While the appeal of generated code is that you don’t have to take the time to learn how to code HTML and CSS yourself, this is a short sighted view, as the time savings are on the back end when inevitably one of the web sites fall apart and countless hours are then required to fix a pile of unfamiliar spaghetti code. It is worth educating oneself or one’s employee’s if you plan to make web design a part of your business model. Otherwise, plan on some late nights. Knowing standards based XHTML and CSS will save time, money, and keep yourself on the same page as other industry professionals. For more information, try http://www.w3c.org or http://www.alistapart.com. Design for the web has a completely different set of rules than for print. Make sure the design will stretch with content that changes in height or width when the user interacts with it. One of the most common design mistakes is to draw a fi xed height box in Photoshop or Illustrator, and expect the web content to fit inside this box – we often see this done with surveys which contain dynamic content. If you are designing and want a box element around the survey, make sure the background surrounding the box is a uniform color and not a photo image or complex pattern, as the box may have to be coded to expand and contract in height due to dynamic content which can break your background image. If you are coding, use elastic! Landing pages are a powerful tool that can be used to serve specific and relevant content to visitors gathered from a variety of marketing channels. They are especially powerful for individuals who need to make adjustments to the web but may not access to the corporate web site. Although often associated with paid search or PURLs, landing pages (or generic URLs – GURLs) can be used with newspaper or magazine ads, radio and television spots, print collaterals, or carrier pigeons. To get the most out of your landing page campaigns, try these tips. One of the most important items to consider when designing any web page is that the web has an entirely different set of rules than print. Make sure you have a designer who is very familiar with the differences between designing for the web and print. This includes keeping page load times in mind when adding graphics, to the problems around fixed heights, web safe fonts, screen resolutions, and the eccentricities of browsers. Even if your print designer won’t be coding the page, they must have an understanding of the opportunities and limitations within this complicated medium in order to deliver a professional, up to date design that will work cross browser and will not cause additional hours of work for the web designer. Web pages often enthusiastically over-inform the prospect about every last detail up front, forgetting that the main purpose of the page is to get the prospect to opt-in for a contact or more information. • Does your offer stand out, or is it drowning in a sea of copy? List the relevant information and save the details for the follow up. • Is your offer both appealing and relevant to the vertical and demographic? It takes quite a bit of trust for someone to submit their personal information, even when pre-populated. • Is your offer interesting and relevant to the needs and interests of your prospect? You only have a few seconds to grab their attention, so make it count. The main purpose of most PURL marketing campaigns to get the PURL respondent to opt in to your survey, register for an event, or ask for a sales rep to contact them for more information. The survey should be short and easily finished in a few moments. The survey should be above the page break and immediately visible; the prospect should not have to scroll “below the fold”. Current design standards employ a clean modern layout with large fonts, easy to read navigation menus, plenty of white space around elements, and a small number of high quality graphics. Remove the clutter and your message will stand out. If your list has information such as gender, age, occupation, industry, or other demographic/vertical specific information, why not use it to personalize the landing page with artwork and copy that is specific to their needs and interests? VDP Web allows for 6 custom fi elds that act as “tags” which can serve variable images, text, and flash. As long as it is in the database, it will serve up a page that is personally tailored to each prospect. We do have a “default” setup possible in case a person does not type in their PURL, so no opportunity is ever lost. You can be creative, but make sure to maintain the fi t and feel of your corporate brand across print, web site, and landing page. While there defi nitely needs to be some obvious links to the mail piece that the client received, it is best practice to incorporate the fi t and feel of your existing corporate web site as closely possible. Web visitors will often leave the landing page and visit your home site in order to fi nd out more about your company. Uniformity of fi t and feel is the cornerstone of all corporate branding. If you currently have a web site that you like, try and keep as much of the shell as possible – strip down the navigation and side links so there aren’t too many options to leave the landing page – and then incorporate the graphics and information from the direct mail piece into the body of the design. With a bit of planning it is easy to keep to the corporate fit and feel while still relating to the mail piece.